Yes. 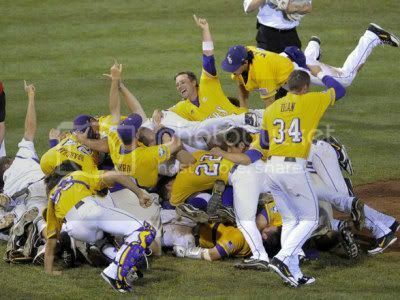 LSU won the CWS. Congrats and all that. Every Spring the Auburn Tigers take the field. Every Spring I follow them. Every Spring I watch and hope that this could be the year. Winning a CWS is hard. Getting there is even harder. Will it happen? (and by happen I mean get to the CWS)? Yes. It has to. Auburn will be back. I just hope I’m around when it happens. So yes, Congrats to LSU. However, There are only one species of Tigers I care about in this world and they are Orange and Blue.